Anyone who has ever got lost in the streets of Venice and then unexpectedly found themselves in St Mark’s Square will find that Levithan’s new novel unlocks a host of holiday memories. Any eager advertising executive in their mid-twenties, unable to forget the job while on holiday, will have a number of rueful laughs while reading the book. And many a non-practising Jew will doubtless identify with one of the book’s main characters as he tours the former ghettos of Italy. All of which might suggest that Are We There Yet? is going to spend longer on the teen fiction shelves than in the hands of its intended readers. 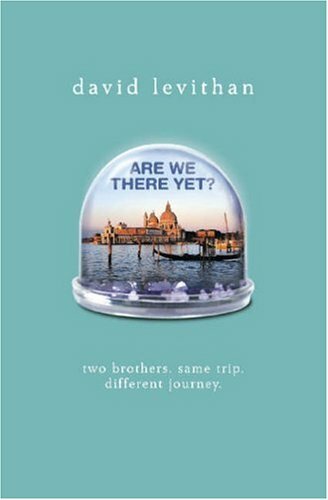 In fact, it is a delightfully told story of how two American brothers became alienated from one another, are tricked into a shared Italian holiday – and how a new tolerance is grown, thanks to an unlikely meeting with the enigmatic Julia. Danny is now 23, hyper-organised and intent on pursuing his business career in New York. His younger brother Elijah is 16, intuitive, seriously laid back and always ready to talk to strangers. Their story is offered as symbolic of the way brothers can become incommunicative and grow apart in a manner, it is implied, that sisters don’t. It is also a gentle and relaxed story, interrupted by after-lunch naps, but the dialogue is utterly convincing. It is also a more enticing read than it sounds as some of the chapters are as short as twenty words. A stylish, absorbing novel, it doesn’t deserve to languish on the shelves.